This week the UN will mark two important days: World Food Day (October 16) and International Day for the Eradication of Poverty (October 17). The UN's Food and Agriculture Organization has been celebrating World Food Day day since 1979 on October 16 (which is the day the organization was founded in 1945). The purpose is to heighten public awareness of the problem of hunger in the world and encourage the participation of rural people -- particularly women -- in decisions and activities influencing their living conditions. 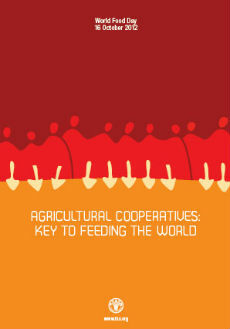 This year's World Food Day theme is “Agricultural cooperatives – key to feeding the world." The theme was chosen to emphasize the role of cooperatives in improving food security and contributing to the eradication of hunger. The importance of cooperatives and rural organizations was also reflected in the decision of the UN General Assembly this year to designate all of 2012 as the “International Year of Cooperatives.” Planet Aid also recognizes the importanmce of cooperatives and has been helping establish them with support of the Farmers' Clubs projects. International Day for the Eradication of Poverty has been observed every year since 1993 by the United Nations. This year's theme is "Ending the Violence of Extreme Poverty: Promoting Empowerment and Building Peace." A major part of Planet Aid's core mission is to help reduce poverty in the world. Read more about the programs we support to accomplish our goals.